This is an abridged version of a detailed paper written by the author in 2009. The paper has been frequently used by various western and local academics as a reference tool to trace the history and evolution of student politics in Pakistan. Zulfikar Ali Bhutto, whose rise as a popular leader and politician in 1966 was first galvanised by college and university students, once said that though he was aware of the role these students had played in his initial rise, he would not want his party (the Pakistan Peoples Party) to be directly associated with any of the student organisations that were at the forefront of turning the PPP into a powerful oppositional force against the Ayub Khan dictatorship. He said this when some of his colleagues in the PPP suggested that the party should get on board those factions of the left-wing National Students Federation (NSF) that had been campaigning and agitating against the Ayub regime during the 1968 students movement in Pakistan. Bhutto was of the view that student politics was a highly mutable and volatile creature because political student groups were vulnerable to sudden changes that could unexpectedly transform them from being friends to becoming foes in a short span of time. He was right. Because from 1973 onwards, many NSF factions that had fought street battles with the police and right-wing student groups for the PPP in the late 1960s, became one of Bhutto’s bitter foes. I’m sure student politics in most countries has had the same tendencies, especially in the developing world. Or at least when student politics prospered between the 1960s and early 1980s and/or before taking a nosedive from the 1980s onwards. At the time of Pakistan’s creation in 1947, the only established student organisation was the Muslim Students Federation (MSF), the student wing of the ruling Muslim League. MSF had been formed to assist the League in recruiting students and young Muslims of undivided India and help it achieve its goal of attaining a separate country for the Muslims of the region. However, by 1950 the situation in MSF started to reflect the fragmentary nature of its mother party that had otherwise remained intact as a powerful political entity until 1948. Muslim League began to disintegrate soon after coming to power as Pakistan’s first ruling party. It broke into various self-serving groups, mostly due to intra-party tussles over the distribution of government ministries. As a consequence, MSF too split into different expedient factions. Jinnah chatting with a group of members belonging to the Muslim Students Federation shortly after the creation of Pakistan in 1947. The many infrastructural and logistical problems the newly formed country faced at its inception were also reflected in the state and nature of the universities and colleges that Pakistan inherited. Consequently, with the gradual disintegration of MSF as a platform for the students to voice their new-found academic and political concerns, a brand new student organisation started to take shape. In 1950 a group of students at the Dow Medical College in Karachi met and formed the Democratic Students Federation (DSF). Initially DSF did not have a written or formal platform or agenda. It only aimed at addressing the academic problems of students and fill the vacuum created by MSF’s splintering into factions. A hectic recruitment drive followed the formation of DSF. As it gained recognition and support in almost all colleges in Karachi, by 1951 it was able to establish a prominent presence in colleges in Lahore and Rawalpindi in the province of Punjab as well. DSF also started to exhibit support for various progressive causes through demonstrations and rallies. By 1952 DSF had evolved into becoming a dedicated left-wing student organisation. DSF’s growing influence soon saw it taking bolder steps in its attempt to move the government towards addressing the educational concerns of the students. In 1953 DSF in Karachi’s Dow Medical College drew up a ‘Charter of Demands’ that included issues like tuition fees, library facilities, better classrooms and the construction a proper university in Karachi. A ‘Demands Day’ was announced on which DSF activists moved out in a procession to meet the then education minister, Fazlur Rehman. The administration blocked the protest. Some students were killed in the commotion and several were injured and arrested. The situation had spun out of control and finally Prime Minister Khawaja Nazimuddin sent feelers out to contact the DSF leadership. He invited a delegation to meet him. It was a cordial meeting and firm promises were made. Although Nazimuddin was soon replaced by Mohammad Ali Bogra, the negotiations continued. Mr.Bogra showed the students a plan of a university to be built in Karachi. The new campus of the Karachi University (KU) was then identified and construction ordered. It was a victory for DSF, though achieved at the expense of the death of six DSF members. A newspaper photo of Democratic Students Federation members protesting against the government at Karachi’s DJ Science College in 1953. By now DSF had also started to exhibit its displeasure over Pakistan’s growing role in supporting the West against the Soviet Union. It demanded that the government take a more independent stance in its foreign policy. It is thus not surprising that in the following year (1954), when the government of Pakistan banned the Communist Party of Pakistan (CPP), it also imposed a ban on DSF, accusing it of being the CPP’s front organisation and student wing. The CPP had already been implicated in 1951 for supporting and facilitating Major General Akbar Khan’s failed coup attempt against the government of Liquat Ali Khan. After the ban many DSF members tried to maintain the organisation secretly, but the mass arrests that followed the government’s ban, made it impossible for these students to continue operating under the DSF banner. The government tried to counter the prevailing leftist sentiment on the campuses by patronising a small pro-government student organisation called the National Students Federation (NSF). The organisation’s leaders were a mixture of former MSF members and independent conservative students. By 1955 however, concern about NSF’s ideological orientation rose among the many bureaucrats who had been instrumental in helping the government uproot DSF. Unknown to them was the fact that some former DSF members and independent leftist students in Lahore and Karachi had started to join NSF as a way to change its ideological make-up. It is not known if this was a planned attempt, but in 1956 when NSF held a large rally in Karachi in support of left-leaning populist Egyptian leader, Gamal Abul Nasser during the Suez Canal crisis, it was apparent that NSF had changed its stripes when the gathered students started chanting anti-British and anti-Israel slogans. NSF had slipped into a role that it would hold for the rest of its existence. Compared to DSF, NSF started to develop a wider platform on which students from all shades of progressive politics started to gather. By 1957 NSF was sweeping student union elections in Karachi, Lahore and Rawalpindi, quickly reclaiming the electoral and influential ground that DSF had lost due to its banning. In 1958 NSF was banned when Field Marshal Ayub Khan imposed the country’s first Martial Law. Student politics and unions along with political parties were banned and a fresh crackdown on student radicals launched. The Martial Law was imposed on the pretext of ‘political chaos’ triggered by years of Machiavellian power games between the politicians and bureaucrats, and the rising levels of corruption in the society. In 1960 the Martial Law regime partially lifted the ban on student unions allowing the revival of student union elections after a brief hiatus. At the start of the new decade the student-wing of the politico-religious party, the Jamat-i-Islami (JI), had started to emerge from the side-lines of student politics and materialise as a right-wing force on campuses. Called the Islami Jamiat Taleba (IJT), it had been around for more than a decade but was almost completely overshadowed by DSF and NSF. IJT’s leadership had to convince JI’s leading figurehead and conservative Islamic Scholar, Abul Ala Maududi, to let it carve out a bigger role for itself in student politics, whereas Maududi had wanted his party’s student-wing to play a more evangelical role. IJT started taking part in student union elections in the late 1950s, and by 1962 it had developed into becoming NSF’s strongest and most organised opposition thus far. However, it was still unable to topple NSF’s electoral supremacy. IJT was also one of the initial student organisations directly associated to a mainstream political party — even though MSF had been the first, it was almost non-existent by 1962. NSF on the other hand remained largely independent but its growth and influence had gotten it in touch with powerful labour and journalist unions of Karachi, whose leaders started to influence the intra-party affairs of the student organisation. NSF’s overall leadership was made up of pro-Soviet Marxists, but at the onset of the 1962 Sino-Soviet split, a strong pro-China faction too appeared within the party. A power tussle ensued between the leadership of the two factions allowing the IJT to start making deeper inroads. Meanwhile, the same year (1962), when the Muslim League (renamed as Pakistan Muslim League), broke into factions again, the larger faction calling itself the Convention Muslim League (PML-Convention), decided to join and support the Ayub Khan dictatorship. In fact Ayub became its president. Joining the government brought in enough influence and funds for the party to reform its withering student wing, the MSF. Battered in the 1950s, MSF returned to student politics and made some impact in the Punjab, but it was no match to NSF in influence and electoral strength. In fact, in many colleges, it was also defeated in student union elections by the IJT. However, despite the losses it kept up a prominent presence. NSF had also developed strong links with the left-wing National Awami Party (NAP). In an ironic twist the pro-China factions of NAP and NSF ended up quietly supporting Ayub Khan’s candidacy in the controversial 1965 Presidential Elections due to his Foreign Minister, Zulfikar Ali Bhutto’s close contacts with Mao Tse Tung’s China. Ayub’s opponent in the election was Fatima Jinnah, the sister of the founding father of Pakistan, Muhammad Ali Jinnah. She was supported by the anti-Ayub Muslim League faction, the Council Muslim League, the right-wing Jamaat-e-Islami (JI), and the Wali Khan/pro-Soviet faction of NAP. Paralleling the start of the celebrated students’ movement in the United States and Europe that began taking shape in 1964-65, the spark in Pakistan in this respect was set alight by the aftermath of the country’s 1965 war with India. The official media had thumped in a skewed perception of the war, proclaiming that the country’s armed forces had dealt India a hard, decisive blow. These were young, educated and middleclass Pakistanis who were infuriated by the ceasefire treaty between Pakistan and India brokered by the Soviet Union in the Soviet city of Tashkent. Ayub Khan’s young Foreign Minister, Zulfikar Ali Bhutto, too had opposed the treaty and was thus eased out from the government. He soon found himself rising as a hero of sorts by the (West)-Pakistanis, gathering a fiery reputation as the man who wanted to fight on against the Indians and who had stood up to his former boss, Ayub Khan. An extremely shrewd, intelligent and highly educated man, Bhutto nonetheless came from a powerful feudal family of the Sindh province. But in the event of the radicalisation of the Tashkent Generation and the rousing reception that he received from a majority of West Pakistanis in 1966, saw him moving towards leftist intellectual circles. Unable to reconcile to the position that he was offered by NAP, Bhutto, with the help of senior Marxist ideologues like J A. Rahim, S. Rashid and Dr.Mubashir Hassan, and a group of intellectuals led by Hanif Ramey — who had been formulating the idea of fusing Islam and Socialism (calling it “Islamic Socialism”) — decided to form a new party. Projecting himself as the man who was concerned about the plight of the common man, especially in the event of the economic disparities brought on by Ayub’s business-friendly economic policies, Bhutto became a darling of the NSF. ZA Bhutto (centre) with the top two leaders of the National Students Federation (NSF), Meraj M. Khan (left) and Rashid Ahmed (right) at an NSF convention in Karachi (1967). What’s more, after 1965, the pro-government MSF too broke ranks from its mother party and started supporting Bhutto. Many MSF leaders joined NSF and helped form brand new leftist student groups, especially in the Punjab. NSF was the strongest in Karachi and had solid support in colleges in the Punjab as well. NSF-Meraj was the most radical Maoist group, followed by NSF-Rasheed and a few pro-Soviet factions. But each one of these groups decided to support Bhutto. In the colleges of Lahore as well NSF was strong and able to soundly defeat its opponents in student unions elections. But due to a provincial ban on student unions at the Punjab University (PU), NSF had faltered, giving way to a strong presence of the IJT. However, soon after the formation of Bhutto’s populist Pakistan Peoples Party (PPP), and the rousing support it gained from NSF, leftists at the PU formed the National Students Organisation (NSO) to campaign for the restoration of student unions at the university. The NSO became a force in Lahore during the peak of the students’ movement against the Ayub Khan dictatorship in 1968. In the rest of the province, the movement was led by NSF and MSF, while in Karachi it was dominated by NSF-Meraj and NSF-Rasheed. Already the leading student organisation, it was not surprising that NSF hit a peak in student union elections between 1965 and 1968. What’s more, NSF-Meraj became the de facto student-wing of the nascent PPP. Cover of a radical leftist Urdu magazine showing NSF leader, Rasheed Ahmed Khan, being led out of a military court in 1968. On the other hand, after Ayub’s downfall in 1969 (he resigned), and the imposition of Pakistan’s second Martial Law (by General Yahya Khan), IJT started to echo its mother party’s post-Ayub mantra projecting Bhutto’s PPP and its socialist agenda as being worse than Ayub’s secularism. NSF reached the peak of its strength and influence in 1969. Some of its members, most notably Meraj Muhammad Khan and Raja Anwar, managed to become card-carrying members of the PPP, and some of NSF’s prominent factions also became directly involved in the fast developing labour movement, especially in Karachi. It will be somewhat debatable to suggest (as some local historians do), that the golden era of student politics in Pakistan arrived in the late 1960s during the movement against the Ayub Khan dictatorship. It is true that just like the student movements across the world at the time, the Pakistani student movement of the era too became a celebrated event. But it is the 1970s that one can now truly call the golden era of student politics in Pakistan. The '70s decade witnessed perhaps one of the most democratic periods in the history of student politics in the country. It was a period in which the government actually promoted and patronised student politics in universities and colleges, and signed a dedicated Ordinance — the 1974 Student Union Ordinance — that encouraged student political activity on campuses. All factions of NSF celebrated the sweeping victory of the PPP (in West Pakistan) in the 1970 general elections. They saw Bhutto’s and the PPP’s victory as the climaxing of their struggle against dictatorship (Ayub Khan, Yayah Khan), and the arrival of socialism in Pakistan. However, there was a mixed reaction among the NSF factions regarding the landslide win of Mujib-ur-Rehman’s Awami League in East Pakistan. The bulk of NSF factions were against the Awami League’s Bengali nationalist orientation. The Awami League’s left-wing was close to circles affiliated with pro-India groups, whereas most NSF factions had by now become staunchly anti-India and pro-China. Shortly before the elections, NSF was also instrumental in tackling Bhutto’s detractors in the IJT, whom the Jamaat-e-Islami had let lose to attack PPP rallies and churn out anti-Bhutto propaganda, claiming that Bhutto was a non-believer and if his party won, his socialist regime would destroy Islam. A number of clashes took place between NSF and IJT over such issues before the 1970 general elections, and when the Jamaat and IJT increased their attacks and slandering campaigns, the PPP formed the Peoples Guards. This unit was created by plucking “street fighters” from various NSF factions. These brigades of young men armed with clubs and knives started to accompany Bhutto and various other PPP leaders during the election campaign and worked as tough bulwarks against riotous Jamaat and IJT members. The most violent clashes between the two groups took place in the streets and colleges of Lahore in 1969 and early 1970. The 1970s were also the period that finally saw the IJT rise as a powerful electoral force. With the continuing divisions in NSF, that by 1971 had more than four factions, IJT managed to sweep student union elections at the KU in 1969, 1970 and 1971. In the Punjab, though NSF retained its electoral strength in the colleges, and the NSO fought hard to share important union posts with the IJT at the PU. IJT had succeeded in converting itself into a well-oiled electoral machine. As both NSF and NSO got busy fighting their own little intra-party battles, IJT took over NSF’s traditional practice of aggressive indoctrination of the new entrants to college and university life. IJT began holding ‘study circles’ in which it offered help and books to the new students and then slip in lectures and writings by JI chief and Islamic scholar, Abul Ala Maududi, to the students. Most of the men and women who became part of these study circles were students arriving from the country’s conservative rural areas and who had found NSF’s aggressive Maoist/Marxist posturing alienating. An increase in numbers of young people moving to the cities’ from rural towns for higher education in this period also helped bolster IJT’s vote bank. However, the rising tension between NSF and IJT subsided for a while in early 1972. Both the parties were united in lamenting the Pakistan’s defeat at the hands of India and the subsequent dismemberment of the country when the former East Pakistan/Bengali nationalists (backed by India), broke away to create Bangladesh after a vicious civil war against the Pakistan Army. IJT members were also instrumental in providing young men for the Army’s anti-Awami League campaigns (the Badar & Shams Brigades), created to help the military to weed out Bengali nationalists. Nevertheless, NSF was upbeat when in 1972 the Zulfikar Ali Bhutto government began implementing its reformist and socialist policies. NSF once again swept the 1972 student union elections in almost all major colleges in Karachi. But this time the NSF factions had to ally themselves with left-wing nationalist student groups such as the Baloch Students Organisation (BSO), and the newly formed Punjabi Students Association (PSA). However, once again making the most of the splintering of NSF, the IJT won the student union elections at the PU and KU, but unions at major colleges in Rawalpindi remained in the hands of NSF. The winning candidates at a student union election at Karachi’s Dow Medical College (1972). 1972 was also the year when the Pakistan Peoples Party’s student wing, the Peoples Students Federation (PSF), started to make its way into mainstream campus politics. PSF’s formation was also seen as a way for the PPP government to lessen its dependence on NSF whose leaders along with PPP’s radical wing had been pressurising Bhutto to hasten the implementation of his socialist policies. Eventually, by late 1973, accusing members of his party’s radical wing of hot-headedness and impracticality, Bhutto responded by initiating a purge against the wing’s leadership. All NSF factions condemned the purge and finally withdrew their support for the PPP government. The gradual splintering of the student left and the fall-out of the purge dealt NSF its most serious electoral blow thus far. It once again lost to the IJT at KU and PU, and struggled to maintain its hold even in colleges in which it had been winning student union elections for more than a decade. Even NSO at the PU crumbled. The vacuum was filled by the coming together of independent leftist and liberal students, (some of whom joined the PSF) while others got together to form the Liberal Students Organisation (LSO) at KU. By 1974, LSO saw itself at the head of an anti-IJT alliance (Progressive Students Alliance), that also included NSF factions and PSF. What’s more, the Sindh National Students Federation (SNSF) in the interior of the Sindh province was now up against the newly formed student wing of the separatist and anti-PPP Sindhi nationalist student group, the Jeeay Sindh Students Federation (JSSF). Bhutto’s growing tendency towards authoritarianism had not only disheartened the left-leaning student groups, but also gave momentum to the Islamists and conservatives who had otherwise been wiped out in the 1970 general election. The progressive vote on various campuses had started to spilt between the four NSF factions and other progressive groups such as PSF, LSO, BSO and PSA. So it was natural for the progressives to start forming electoral alliances which, such as Karachi’s Progressive Students Alliance, was usually led by LSO. The alliance, though formed in early 1974, managed to break IJT’s winning streak at the KU in the 1975 student union elections. Alliances between NSF factions and PSF in Karachi’s colleges during the same year produced the best results for the progressives ever since 1972. Supporters of the Progressive Students Alliance during a student union election at Karachi University in 1973. Former IJT chief and future Jamat-i-Islami leader, late Qazi Hussain Ahmed in 1974. His influence helped the IJT make huge gains in student union elections in the 1970s. In the Punjab, though IJT managed to retain its electoral strength at the year’s union elections at the PU, progressive alliances in colleges in Rawalpindi and Faisalabad struck back, voting out the IJT from prime student union seats. Contribution to IJT’s defeat that year was also made by another right-wing student group, the Anjuman-e-Taliba-e-Islam (ATI), the student wing of the Jamiat Ulema-e-Pakistan (JUP). Unlike the JI and IJT, JUP was manned and supported by Muslims from the Barelvi school of Sunni Islam, that, though as conservative, were less puritanical. By the mid-1970s the number of colleges and universities holding student union elections grew two-fold, with Progressive Students Alliance and IJT dominating in colleges and universities in the main urban areas of the country, while IJT, ATI and PSF prevailing in the semi-urban areas. The situation at Rawalpindi’s Gordon Collage that had been a bastion of DSF, NSF and progressive student alliances ever since the 1950s, took a twist when during the 1976 student union elections here, the IJT for the first time managed to capture the most seats in the college’s union. 1977 was also the year of general election, the first after the historic 1970 election. Though aggressively and passionately supported by progressive and left-wing student groups (especially NSF) before and during the 1970 elections, this time none of the NSF factions were ready to support the PPP. They had been angry with Bhutto ever since he purged hard-line leftists from his party in 1973, and then send in the Army against Baloch insurgents in Balochistan. They also accused Bhutto of rolling back PPP’s original socialist manifesto and alienating the leftists by inducting prominent feudal lords and capitalists in his post-’74 cabinet, and then caving in to the pressures of the Islamist parties by officially proclaiming the Ahmadiyya community as non-Muslim in 1974. The only progressive student group willing to support the PPP was, of course, the party’s own student wing, the PSF. PSF had established itself well in universities and colleges across Pakistan. And even though it was able to win student union elections single handily in interior Sindh and in some colleges of Rawalpindi, it had to get into alliances with other progressive/socialist student groups in Karachi and Lahore. The aftermath of the 1977 general election was tumultuous. 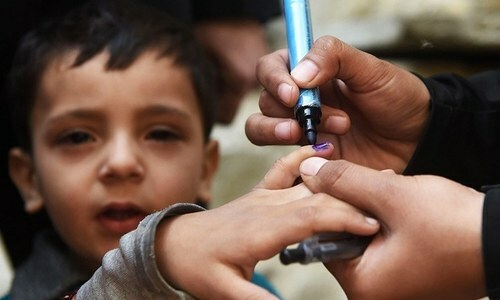 The nine-party opposition grouping, the Pakistan National Alliance (PNA), which was led by the Jamaat-e-Islami accused the Bhutto regime of rigging the polls. Right away the PNA began a movement of mass protests against the PPP government. Many of these protests turned violent in Karachi and Lahore, enough for Bhutto to send in the Army and impose a curfew in the disturbed areas. Aggressive anti-PPP demonstrations were organised by IJT at KU before it was shut down, while the movement in the Punjab was given great impetus by IJT activists at the PU and Gordon College. An IJT protest rally being held outside Gordon College in Rawalpindi during the April 1977 anti-Bhutto movement by the PNA. Using the disturbances as a pretext, Bhutto’s handpicked Chief of the Army, General Muhammad Ziaul Haq , imposed the country’s third Martial Law (5 July, 1977). When Zia brought in members of the Jamat-e-Islami to form his first cabinet (to help him “Islamize Pakistan”), IJT’s notorious “Thunder Squad” that was formed in the 1960s at the universities of Karachi and Lahore to challenge leftist student activists, went on a rampage, harassing and physically manhandling IJT’s opponents. In response to the new challenges faced by the progressive students, in 1978, NSF, PSF, LSO and DSF formed the Punjab Progressive Students Alliance (PPSA) at PU, Gordon College and at the newly built Quaid-e-Azam University in Islamabad. Gaining sympathy due to Zia’s harsh crackdown on PSF and NSF, and due to the rising cases of violence and harassment by the IJT, the PPSA routed IJT in the 1978 student union elections in Rawalpindi, Islamabad and in many colleges of Lahore. This was the IJT’s biggest defeat in Punjab ever since it started to dominate student politics in the province in 1972. In 1978, Altaf Hussain, a KU student, formed the All Pakistan Mohajir Students Organisation (APMSO). The party’s early membership included a small group of former IJT members who were then joined by a few progressive members loitering from the breakup of two NSF factions in 1977. Despite the rising violence (usually involving PSF, APMSO and NSF workers against IJT’s “Thunder Squad”), the KU did manage to hold its 1979 elections. The elections saw the Progressive Students Alliance that had somewhat survived Zia’s persecution, defeat IJT on a number of union posts, but the union’s biggest slot was won by IJT. It was IJT that first introduced the use of latest weaponry in the country’s student politics. Some Thunder Squad members were seen carrying AK-47s at the KU during the 1979 student union election at KU. In response, the reactionary dictatorship increased the harassment and punishments against members of progressive student groups, especially PSF. With the help of arrests, jailing and torture, the dictatorship finally managed to dismember the Progressive Alliance at KU. However, in the Punjab, the Punjab Progressive Students Alliance (PPSA), went on to once again defeat IJT at the Quaid-e-Azam University in the 1979 student union elections, and then win back Gordon College for the progressives which they had lost to IJT in the 1976 election. Thus ended one of the most fertile decades of student unionism in Pakistan, in which, at least between 1970 and 1977, regular student union elections had managed to help students to democratically address and settle their ideological and administrative matters. The incidents of violence in educational institutions too in these seven years usually did not involve the use of firearms, and deaths were actually lesser in number compared to what the students had faced in 1954 and 1968 due to police violence. However, events between 1977 and 1979, in which sophisticated firearms made their presence on university campuses and the ideological battles between the leftists and rightists started getting more brutal than ever, a precedence was set for a future that would see the country’s student politics struggling during it most difficult and decisive period. Further emboldened by Bhutto’s downfall and the Jamat’s growing influence in Zia’s military regime, the IJT began mutating from being a democratic-conservative student group into one with growing authoritarian tendencies. At times it became hard even for its mother party the Jamat-e-Islami to control. The PPP’s student-wing, the PSF, now under tremendous pressure from arrests and harassment by the Zia dictatorship, too became a lot more violent, but for different reasons. Many of its members were jailed, tortured and even flogged, sometimes simply for raising a “Jeeay Bhutto!” (Long live Bhutto) slogan. From this situation emerged one of PSF’s most notorious leaders in Karachi, Salamullah Tipu. Coming from a lower-middle-class family of Karachi, Tipu was originally a member of NSF in 1974-75. He switched to PSF sometime in 1977 and gained a reputation of being “a terror” by the IJT in Karachi. Everyday dozens of PPP and PSF workers were being arrested, and from 1978 onwards hundreds of them had been loitering in cramped jails across Pakistan. Colleges in interior Sindh and Rawalpindi, the Quaid-e-Azam University in Islamabad and the Peshawar University were the most vigorous venues of PSF’s anti-Zia activism. PSF had risen appreciably at the Peshawar University, and it was in Peshawar that some PSF leaders saw IJT members receiving AK-47 assault rifles from Afghan gun traders who had started to arrive into the NWFP (now Khyber Pakhtunkhwa) province in the north-west of Pakistan after the takeover of Afghanistan by Soviet forces. These IJT members then got the same traders to meet with IJT workers arriving from Karachi. It is said that since arms from the United States had also started to pour in for the so-called anti-Soviet “Mujahideen” groups stationed in Peshawar, many of them were sold at throw-away prices (by Pakistani and Afghan middlemen) to the visiting IJT workers. Back at the University of Karachi (KU), the Progressive Alliance had capitulated under government repression and the strong armed tactics of the now well armed IJT. Getting in touch with the same Afghan traders in Peshawar who had been supplying arms to IJT members, a group of PSF activists from Karachi bought themselves a cachet of AK-47s as well. This group was led by Salamullah Tipu, under whom an anarchic militant wing of the PSF started to take shape that propagated an armed rebellion against the repressive Zia dictatorship. With the Progressive Alliance in tatters and member student parties trying in vain to come to grips with Zia’s repression and IJT violence, Tipu headed back to the University of Karachi. Right away he and a group of PSF militants emerged on the campus, roaming in a white car with a PPP flag (a crime of sorts in those days), and shouting “Jeeay Bhutto!” slogans. Tipu fired upon an IJT gathering, killing a senior IJT leader. Though it was the IJT that had first introduced sophisticated weapons at the Karachi University (in 1979), it was a PSF man who took the life of the first student to die in a clash at the university. The IJT lodged a case against Tipu. Tipu and a group of PSF men escaped to Peshawar. From Peshawar this group secretly crossed the border and slipped into Afghanistan. They walked and hitchhiked their way to Kabul which was then under the control of Soviet troops and a Soviet-backed communist government led by Babrak Karmal. There they were met by the sons of the slain former Prime Minister, Zulfikar Ali Bhutto, Murtaza and Shahnawaz. Both of them had escaped to Kabul when Bhutto was hanged by the Zia dictatorship in 1979. In Kabul they had formed an anti-Zia guerrilla outfit called Al-Zulfikar Organisation (AZO) with the backing of the pro-Soviet Afghan government. Bulk of AZO’s membership was made up of activists from PSF’s militant wings in Karachi, interior Sindh and the Punjab, whose members had also escaped Zia’s repression by slipping into Kabul. By 1981, AZO had pulled off a number of bank heists and an assassination in Pakistan, and attempted to slay the Pope, who was visiting Karachi. A poster of Tipu: A ‘monster’ turned into a romantic hero?Tipu died in Kabul in 1984. Salamullah Tipu and his group of PSF militants were provided training by the Afghan intelligence agency, KHAD, before they slipped back into Pakistan and hijacked a domestic PIA flight. The flight was first taken to Kabul Airport where Tipu and his men provided a list of political prisoners that they wanted the Zia regime to release. These included a number of PPP and PSF activists, a few NSF members, and activists belonging to certain left-wing Baloch and Pashtun nationalist parties, all of whom had been loitering in various Pakistani jails since 1977 and 1978. On the Pakistani government’s initial reluctance to comply, Tipu executed a Pakistani diplomat who was on the plane, mistaking him for being part of Zia’s intelligence agencies. He wasn’t. Hundreds of anti-Zia activists were rounded up and tried in military courts; these also included some PSF activists, four of whom were eventually hanged to death by the dictatorship (in 1985). At the KU, with the Progressive Alliance now defunct, the IJT renewed its violence against PSF and NSF. In response, a senior progressive leader, Zafar Arif, pleaded for a brand new alliance of progressive student groups to challenge the government’s repression and IJT’s violent ways. In early 1981, a meeting was held at Zafar Arif’s home and United Students Movement (USM) came into being. A two-pronged strategy was chalked out by USM. The first involved the alliance to work as a new united electoral group against right-wing student parties like IJT in student union elections at the KU. Secondly, the new alliance also decided to take IJT head-on in other more aggressive matters as well, and for this USM planned to arm itself. On the other hand, PSF and NSF formed the Taliba Jamhoori Mahaz at the same University and supported the USM in the student union elections. In early 1981 some IJT members shot dead a USM activist at KU. Then, as expected, violence erupted on the day of the 1981 student union elections in Karachi. To neutralise IJT’s armed wing — the Thunder Squad — a group of progressive militants led by BSO’s Boro Baloch and PSF’s Shireen Khan entered the KU (from NED University) to counter Thunder Squad members there. Soon, a gun battle ensued between the two groups. Armed IJT members holed themselves up in the varsity’s student union offices, while Boro’s men climbed on top of a nearby building. The firing was intense and went on for about half an hour. The outcome was bloody. There were injuries on both sides but an IJT member, Danish, was critically injured. He later died in the hospital. IJT member, Danish, who died at the hands of USM militants in 1982. The start of 1982 saw members of a small component party of USM, the APMSO, being denied entry to the KU by IJT. The APMSO was formed by a group of former IJT members who quit in 1974 and formed a nationalist student party for the Urdu-speaking (Mohajir) students of Karachi in 1978. The party described itself as progressive when it joined USM in 1981. It was still not in a position though to offer any winnable candidates to USM in the student union elections. Fearing that it would not be able to withstand the pressure that was being applied on its members by IJT, APMSO asked its larger USM contemporary parties for arms. PSF and NSF offered to sell them a limited number of arms for defence purposes. By now almost all major student organisations were well armed, with reports of IJT even getting itself a couple of rocket launchers which it stashed in the rooms of the hostels that were controlled by the party at the KU. Founding member of APMSO Altaf Hussain speaking to his early supporters at the Karachi University in 1979. There was concern in Islamabad about the electoral revival of progressive student parties in Karachi, Sindh, north Punjab and Peshawar, especially of left-leaning/progressive student alliances. The government felt that these alliances might be used by PPP-led anti-Zia alliance, the Movement for the Restoration of Democracy (MRD), in its upcoming protest movement, even though student organisations like PSF and NSF had already been involved in various anti-Zia activities. Advisors to the Sindh government under the governorship of General Abbasi warned the regime that even though the Jamat-e-Islami had been supporting the Zia dictatorship and using IJT to subdue anti-government politics and sentiments in educational institutions, the 1981 and 1982 student union elections proved that IJT’s influence was fast receding. The advisors also warned the government that this situation can not only increase the level of violence on campuses, but the violence may turn outwards as well against the government. It also warned that the IJT was fast going out of control from the JI’s sphere of influence. In the 1983 student union elections, IJT was given a tough fight by the progressives at the PU, while PSF swept the elections in colleges in semi-urban areas of the province. The Punjab Progressive Students Alliance still being led by NSF, PSF and groups of liberals under the DSF, Istaqlal Students Federation (ISF) and the Quaid-e-Azam Students Federation (QSF) banners, once again swept the elections in Rawalpindi colleges and the Quaid-e-Azam University, while PSF bagged the largest number of union posts in the elections at the Peshawar University. The IJT had been comprehensively voted out in a majority of colleges and universities across the country. In early 1984 news arrived that Tipu had been hanged by the Kabul authorities. He had become a threat to Murtaza who was said to have become increasingly mistrustful. Tipu is still buried somewhere in Kabul, while his PSF counterparts who helped him hijack the PIA plane settled in Libya. Just before the 1984 student union elections in Karachi, the government announced that it is banning student unions. It cited growing cases of violence as a reason. Of course, the decision was based on reports that anti-government student alliances had gained strong electoral and political momentum and may in the future be in a position to initiate a students’ movement, the sort that helped topple the Ayub Khan dictatorship in the late 1960s. The widespread defeats the IJT suffered in the 1983 student union elections across Pakistan clearly reflected the scenario. The most ironic fallout of the ban was the way IJT reacted to the interdiction. It defied its mother party’s approval of the ban and joined opposing student groups when they began a protest movement against the ban. IJT demanded that its mother party withdraw its support for the Zia regime. Karachi saw the most aggressive exhibition of protest rallies, where in the course of two months protesting members of IJT, PSF and NSF burned dozens of government cars and buses and fought street battles with the riot police. Under pressure from its student wing and now conscious of the negative fallout the party had started to suffer for supporting Zia, the Jamaat-e-Islami pulled back the more blatant aspects of its support for the dictatorship. However, it reached a deal with the regime and continued giving it indirect support. One of the conditions it secured for this support was that the regime would continue allowing IJT to keep functioning freely in universities and colleges. This deal saw IJT suddenly withdrawing from the anti-ban movement as the regime began a fresh round of harassment and arrests against USM and Punjab Progressive Students Alliance. In the winding months of 1984, that year’s student union elections were cancelled, leaving 1983 to be the year in which the last countrywide student union elections took place in Pakistan. Though student organisations remained active in most state-owned colleges and universities and continued taking part in union elections, these elections were deemed null and void by the regime. From the 1990s onwards, with the rapid withering away of conventional student politics, the colleges and universities (especially privately owned) started being subtly and silently penetrated by some elusive socio-political groups. These groups were however unsuccessful in getting a foothold in state-owned campuses, mainly due to the presence of conventional student parties there. The target audience of these new groups are the new urban middle-class youth now caught between a ‘corrupt democracy’ and a politicised clergy. That’s what their analysis was as they saw the new generation open up to ‘new ideas’. These groups (at least in educational institutions) do not operate like the conventional student groups. In fact they claim to shun politics and pretend to help the students become better and more successful Muslims. This is so because the two main groups having access to private-owned campuses are both Islamic in orientation. One is the evangelical Tableeghi Jamaat and the other the Hizb-ut-Tahrir, a group first formed in the UK and which advocates the imposition of a worldwide modern-day Caliphate. Conscious of the repulsion students demonstrated for the violence associated with the established student groups on state-owned campuses in the 1980s, the Tableeghi Jamaat and the Tahrir slipped into private educational institutions with a more social agenda. Instead of preaching political ideology, these groups emphasised on ‘social behaviour’. For example, students are given tips on how to sound and look like ‘better Muslims.’ The consequences of this are not entirely apolitical because at least the Tahrir is a political organisation with an agenda to ‘unify the ummah’ (through a modern-day Caliphate). It is banned in Pakistan. Young female supporters of Hizb-ut-Tahrir. Thus, the political impact of the Tahrir and the Tableeghi Jamaat’s preaching in private universities and colleges sees the impacted students eventually coming close to the world view peddled by many post-Cold War right-wing radical outfits, giving birth to what remains to be perhaps one of the most conservative and yet fragile generations of young, urban middle class Pakistanis thus far. Zubeida Mustafa, Students who set the tone (DAWN, December 6, 2009). Haroon Ahmed, Saleem Asmi, Setting the record straight (DAWN, April 5, 2005). Afzal Mehmood, Special Feature on Pakistan Politics (Globe, Vol:9, 1996). NA Jawed, Islamic Socialism: An Ideological Trend in Pakistan in the 1960s (The Muslim World, 1975). Dr. Manzur Ejaz, The More Progressive Ones (Daily Times, December 20, 2006). Raja Anwar, The Terrorist Prince (Chapman & Hall Inc. 1997). Personal conversation with Tipu’s maternal cousin (September 10, 1999, Karachi). Personal conversation with former progressive Karachi University student leader, Akram Kaim Khani (March 2012, London). Personal conversation with former KU student and (later) DAWN Editor, Abbas Nasir (2011, Karachi). Laurent Gayer, Guns, Slums & Yellow Devils:A Genealogy of Urban Conflicts in Karachi, Pakistan, (Modern Asian Studies, Vol. 41, No. 3, 2007). Matthew J. Nelson,Religion, Politics, and the Modern University in Pakistan and Bangladesh (National Bureau of Asian Research, 2009). Well done again. Yet another close look at yet another overlooked aspect of Pakistan's political and cultural history. NFP, you have been my favourite historian and writer. When are you writing a book? NFP you have taken us through another journey of yester years like no one else can do. Thanks a lot for your efforts. Quite an informative and well researched article, reminds one of the tumultuous era of 70s. Considering the fact that Nadeem Farooq Paracha was a frontline student leader with NSF and then PSF in the 1980s, this is a remarkably objective article on a much ignored topic. Very few know that at his college, NFP was one of the most respected leftist among the IJT, most of whose members greatly respected his honesty and the knowledge he had of Maiddudi Sahib's writings. After college, NFP became disillusioned with the left. It was nice to finally read something that quoted the references. Wait until he starts writing on hindu mythology. Thanks NFP, for such a great job you did. we need you for more scruitinizing history and politics of Pakistan. Terrific long for writing this! When it is clearly described in the above writing that the first student rather the second (Danish) too were murdered by the Monster (Tipu) of the NSF then why they are presented like heros? @Ateeq-ur-Rehman True. But in his unabridged paper, NFP also discusses IJT's monster Raja Javed who introduced firearms at KU. IJT started the violence but was also engulfed by it. Well researched article. It seems good days of Pakistan politics are over. Now it is the culture of tribal belt that defines what happens in Pakistan. NFP why not research how large quantities of ammunition found their way in Pakistani cities and villages. There must be a plot and beneficiaries behind it. On a larger canvas, creeping in of violence in Pakistani society needs to be written about. Moral of the story. We don't know how to control ourselves, know where to stop, and do proper risk vs opportunity analysis, In whichever sphere (right, left or center) we ventured, we end up in a uncontrolled spiral ending up in self destruction. Instead of firm but polite and open to other party point of view, we tend to be violent and brittle. And this trend is continuing with even more ferocity today. Zia made some of the worst decisions for Pakistani state, society and poilitics and one of them was ban on student union. I have long heard that IJT was the first student organisation to introduce fire arms in the universities but the 1967 poster of NSF tells a different story. Also that the NSF and other left-wing parties were equally abandoned by Zulfiqar Ali Bhutto and like minded people for their own interests and therefore they fell into the hands of more aggressive left wing regimes like Pro-Left Afghan Government in Kabul and Baloch Separatists. In all these years and the years that followed, IJT retained its ground throughout Pakistan. Progressive Parties were given an equal opportunity in this regard but only a couple were able to deliver on actual grounds. Nostalgia, NFP is going in the same rut for the last many years. It's amazing to be able to tell your articles by their title. Most recently I went through the gates of NED and KU. For me student unions and politics is and was a big waste of time. Due to the influence and background I enjoyed, I was offered by both APMSO and IJT to become an active member, but I didn't got my self stuck in this mud. 5-6 years down the line, my friends who joined these unions are still struggling with their careers and families, while I got an academic position, few years of good experience and moved on to the best companies of the world. Right now I can easily see 10 years difference between myself and these colleagues. You did not mention Kazmi who, as for as I remember was the head of NSF PU as Kazmi group when Rashid was leading his NSF at Dow medical college in late 1960s. @Syed Muhammad Danish How nice, sir. But I can give you numerous of examples of men and women who were active in student politics but after their education went on to have fantastic careers in various fields, including media and politics. @baakhlaq Nostalgia? It's history. Kindly get your concepts right. Past is prologue. But the only purpose of struggle is for the future. The analysis of past must be linked to what present day students are leaning towards. I like the article but doubt its creadibility. I like it as it is an anti-IJT articel but , if IJT students were such a monsters and others , so innocents, then how come IJT keep winning in one of the biggest acedemic institutes in Karachi and Punjab for so many years. To win the elections you need to be liked by the voters and IJT must have been doing something other than terrorising students to win the elctions at PU, KU and even at QAU. I don't have to guess on which side the writer was, but overall an interesting reading. can't help but notice how well-dressed students in 60s and 70s used to be. @Drmna46 I am sorry I was wrong Kazmi was leading NSF at Karachi university not PU. Never made sense to me as to why the future of Pakistan needs to be actively involved in politics while they are on the premises of an educational institution. They could have become volunteers or interns at the party headquarters, if they were so interested in this path. There were scores of individuals like me who did not want to be a part this drama but had to unwillingly deal with the consequences of the actions of student bodies on daily basis as tussles between police and them were common on college campuses in those days. The amount of headache these political parodies/ student organizations caused while I attended college in Karachi, far out weighed any benefits they provided. Looking back, for all the chest thumping and Slogan yelling that has happened in Pakistan, the truth is ... PPP is still chaired by one family and the political noose around the neck of Pakistan is still in the grip of about a hundred or so families. Brilliant brilliant brilliant. This deserves to be read and reread. Hailing from this "the most conservative and yet fragile generations of young, urban middle class Pakistanis" - although not conservative myself, I yearn for the days told by my parents and grandparents about those days when Pakistan was not the extremely polarised, intolerant society it has become today and where student politics was associated with awareness, social conscience and progress rather than just tools to spread hate and extremism thrugh violence. Sir you should teach journalism, writing, politics, pakistan studies. Would love to be your student. Mr. Paracha, you have some facts in an error. First the name of Dow leader was Rasheed Hasan Khan not Rasheed Ahmed. Secondly you have not talked much about IJT dominance in Karachi Politics from 1972-78, In 1978 I was in central council of NSF Karachi. When NSF and supporting NSF Union again took over 32 out of 52 Students Union in 1979. Because of NSF dominance the Syndicate election of Karachi University were postponed a is was the candidate for progressive front as Dow Medical College front and all Presidents of colleges vote for it and we had 32 votes. If you want to look into progressive politics of Karachi, there is an excellent resource written by Dr. Ehtesham from New York and Beena Sarwar's blog on Students politics. There are few things in your article which require re-writing. 1) It is almost showing that governmental major stake holders were NSF before Zia Regime & IJT in Zia regime till ban on the parties. 2) If it has some strong base that IJT was backed by government at that time than how these student union like PSF,NSF,PPSA, LSA, NSO,BSO etc vanished(except PSF on some parts in punjab and in sindh) IJT is still on every colleges where it faced defeats. I mean was there no step taken after that ban to these student parties. actually this columns show that governments was unions(almost) and these students were ruling parties. @Syed Muhammad Danish Bro what about Sheiklh Rasheed, Ahsan Iqbal, babar Awan, Muhammad Ali Durani, Jawed Hashmi, Asad Qaiser (PTI KPK speaker), and etc etc. Student politics is not bad in my opinion it is the best way to improve your confidence and managerial skills. The article missed the late 70's elections of Karachi University where Abdul Rahim and Mustafain Kazmi of Progressive plus Liberal out rooted Jamiat after 11 year. Liberal was big Student Force in KU, during 70's, author has not mentioned anything about them. Liberal out rooted Jamiat after 11 year.